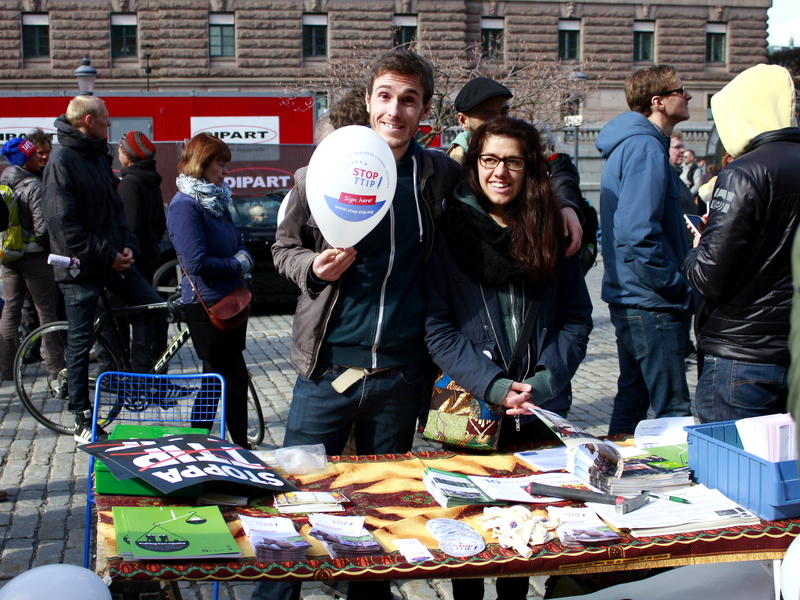 On Saturday 18 April 2015, Small Ones Develop organised an information and mobilisation event against TTIP along with Jordens Vänner, Skiftet and Latinamerikagrupperna. Close to 800 people had registered their participation in the Facebook event and around 200 showed up for a moment of for the whole event. 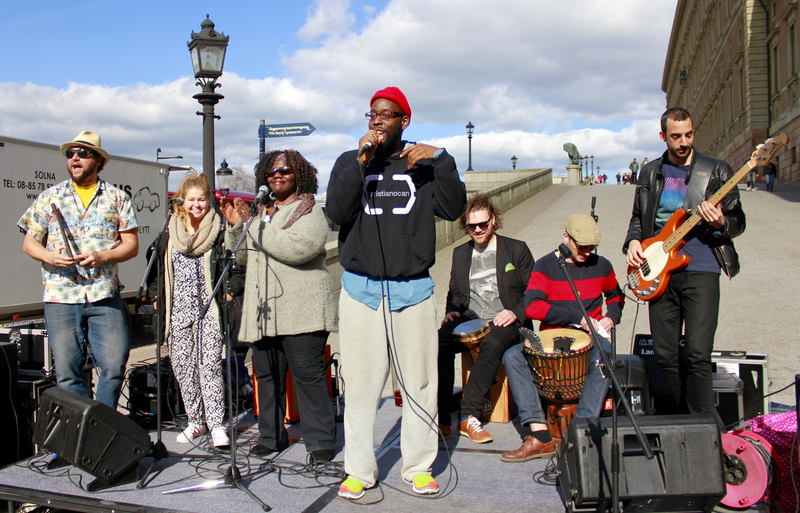 Even though our organising team was small and had limited time to plan, the event was perceived as a success. The program was interesting and entertaining, mixing engaged speakers – both Swedish and international – and lively music. The 2-hour long happening opened with high drumming from girls band and association Rrriotsamba. At 2 PM, Andrea Söderblom-Tay (Jordens Vänner) climbed on the stage to introduce the purpose of the event and the first speaker. 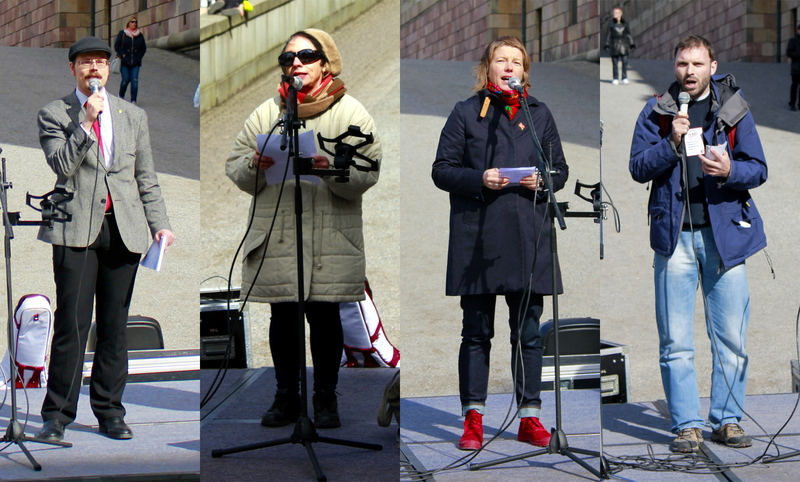 4 speakers shared their views about TTIP and that of their respective organisations with the public: Max Andersson (Swedish Green Party and European MP), Celia Wexler (Union of Concerned Scientists – USA), Malin Björk (Swedish Left Party) and Tom Kucharz (Ecologistas en Acción – Spain). The concluding speech was held by Robin Zachari (Skiftet). 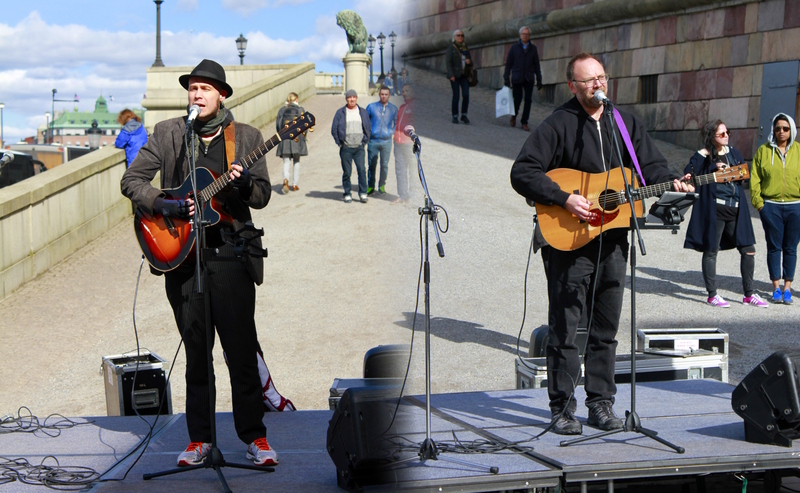 Entertainment was guaranteed by engaged musicians David Rovics and Kristian Svensson, Rrriotsamba (see above) and Christiano Can. 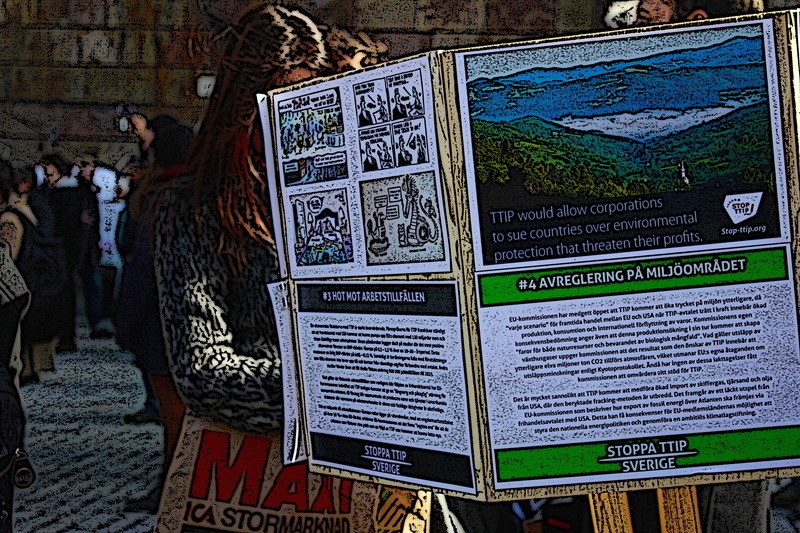 And let’s not forget that we had an information table where people could simply read about TTIP, get some material and sign the European petition against TTIP. 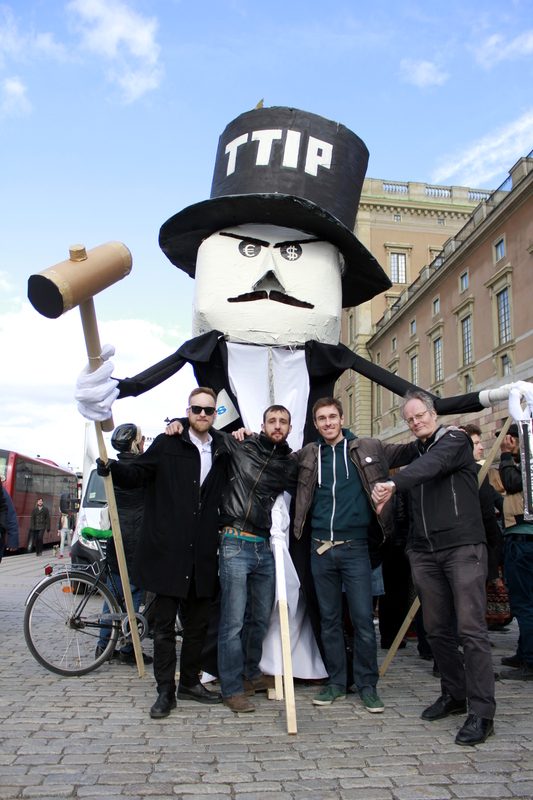 Last but not least, the monopoly man was there to remind us that big corporations – and not people – are those that will truly benefit from TTIP. Thank you Sebastian Dawson for spending hours building the big guy! With a special mention for Francesca Moschini for her great pictures. For more pictures from the event, click on the icon under.